2018-19 Parking Permits are on sale! Do not drive to school- even the first day- without a pass!Cash, check, credit, or debit are accepted! Passes purchased can be picked up in main office beginning Monday, August 13. DRIVING & PARKING Students shall drive in a safe and responsible manner so to not endanger the safety of other students, school personnel, visitors, or self while on school property or traveling to and from school. A student shall adhere to school driving regulations as outlined in this handbook. To obtain a parking permit, students must provide the registration of the vehicle and a valid driver’s license along with the parking application. All school fees must be current before a parking permit can be purchased. Due to scarcity of parking spaces, only juniors and seniors are considered for driving privileges at Cloverleaf High School. There are a limited number of parking permits and are issued on a first-come, first-serve basis. Students who are granted a permit to drive shall not transport other students during school hours. Student cars must be parked in the west lot. 2. Any student that is truant, habitually tardy or does not comply with school regulations. 3. Students in work programs who do not comply with the attendance regulations as outlined for these programs or who are temporarily suspended from their job. 4. Transferring a parking permit without permission. Parking permits are not transferable unless authorized by Administration. 5. Using a siblings parking permit. Siblings wanting to transfer a parking permit MUST meet requirements and fill out proper paperwork. *Students taking home middle school students should pick them up at the high school. In accepting a school parking permit, or by parking on school property, students agree that school personnel may search a student vehicle if there is reasonable suspicion that illegal materials have been brought onto school property. Possession or use of any illegal materials in a student vehicle may result in loss of parking permit and banning of vehicle from school property, plus disciplinary action and/or prosecution. Driving to school is a privilege. Cloverleaf High School assumes no liability for any damage or loss from vehicles parked in the Cloverleaf High lot. Failure to adhere to the regulations will result in revocation of the permit with no refund and/or towing and storage of the vehicle at cost to the owner. Any parking permit lost or stolen may be replaced by purchasing a new permit. 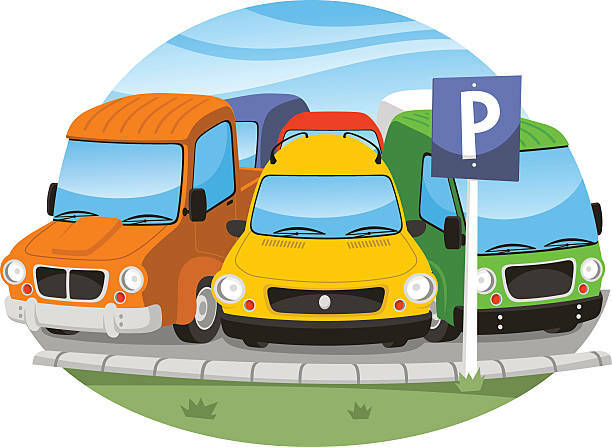 Parking Permits 2018-19- Purchase Here!